Alaska is one of those places you never forget. In the sumer of ’92, I had a bush pilot drop me at a remote airstrip near the mouth of the Endicott River, and there I stayed for two weeks grooving with bears, eagles, ravens and salmon. That was almost twenty years ago. It seems like yesterday. Recently my stepson, Matt, started uploading 25-minute podcasts of me reading my book about that trip. The downloads are free. To listen to them, go to iTunes and type “arguing with the wind” into the search box. You should hear echoes of the Alaskan wilderness in my voice. If you want to know the whole story, you can always read my book: Arguing with the Wind. It is still available at Amazon.com. Or you can go to Wood Thrush Books and make other arrangements to acquire a copy. Either way, it’s all there in black and white for anyone who’s curious. 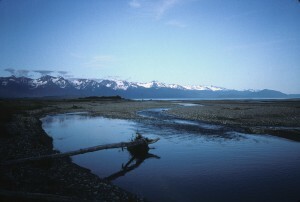 Nowadays I’m trying to write about life after the Alaskan bush. It isn’t easy. I’m having a hard time gaining perspective. That trip was a real game-changer. And the years before it seem like some kind of hallucination. A part of me never left the bush, I guess. It never will. Once the wild gets under your skin, there’s no going back to that other way of looking at things. 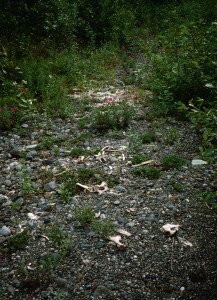 When I was in the Alaskan bush, I took something like a hundred and forty pictures. Most of them were either not that interesting or of such poor quality that they’re not worth showing. But I do have half a dozen gems, like the photo shown here. I added eight more to those – pictures worth a thousand words, as they say – then had them all digitized. One became the cover of my Alaska narrative, Arguing with the Wind, in its latest incarnation. The rest can be found at a photo website called smugmug.com. Check them out. Those of you who have access to my wife’s Facebook page already know about these pics. I’m simply making them available to everyone else – publishing them, you could say. I do not do this lightly. It’s bad enough that I bare my soul with my written words. Is it really necessary to do so with my images as well? Alaska is one of those places that you either love or hate. I never got over my brief sojourn there, and to great extent it made me the philosophizing, woods-wandering wordsmith I am today. Once the wild gets in your system it stays there. So I offer no further excuses for who/what I am. Check out these photos and see if you can relate. If so, then you are in more trouble than you realize, for the wild and the world that most of people inhabit are two entirely different things. Which do you prefer? Careful now. Think long and hard before you answer that question. A friend of mine urged me to visit Salon.com and read an article about how the government has created a climate of fear since 9/11. I did just that and, quite frankly, I was underwhelmed. Like most of what passes for journalism these days, the article was only about half true. Fear is alive and well in America nowadays, but that’s largely due to the fact that we have created the ideal environment for it. We live in a culture of fear, and all of us are culpable to some extent: patriots, pundits, fundamentalists, environmentalists, artists, scientists, government workers, businessmen, teachers, radicals and conservatives alike. All of us are on the verge of panic on any given day, and neither politicians nor the media can resist playing on that. Why should they? Some nut shoots up the place and suddenly he has the rapt attention of the entire nation. Why shouldn’t the media, the government or anyone else with a vested interest exploit the situation? What’s to stop them? 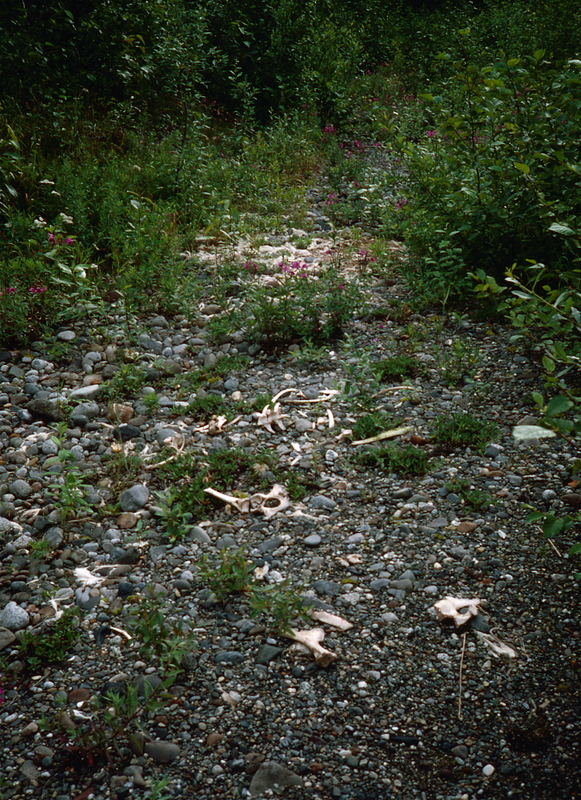 When I was in the wilds of Southeast Alaska years back, I stumbled upon the remains of a moose. I found a little hair, blood and tissue, but mostly just bones scattered across the gravel riverbank. I squatted down in the middle of the mess and tried to wrap my brain around what had happened here. Moose don’t die of old age in the open like this, I told myself. They crawl into the dense alder bush to do it. So this one must have been surprised by a brown bear, a pack of wolves, or something. Suddenly it occurred to me that I could meet a similar fate before the end of the day. Then I felt what can only be described as absolute dread. Sometimes one has good reason to be afraid. Some threats are immediate and very real. What are the chances of either you or me being hit by lightning? That’s not nearly as likely as one of us being horribly mangled or killed in an auto accident. I’ve never seen a terrorist or mad gunman in action, but I’ve arrived early onto the scene of a horrific auto accident several times. And yet, like most people, I keep on driving my car as if it could never happen to me. Some things are worth being afraid of. Others are not. But in a culture of fear, legitimate fears are ignored while other less significant threats are blown completely out of proportion. Why? Because there’s money to be made by it. Because we’ll go to any lengths to prevent or avoid the threats that we believe can be prevented or avoided. Yet who refuses to get into their car? Snoop around on the Internet and you’ll find that many more Americans die in auto accidents each year than have died in the Iraq and Afghanistan Wars combined. And every year there are many more auto deaths than murders in this country. Think about that the next time you strap yourself into your car and head for the highway. Then ask your self why you don’t fear your car at least as much as you fear the random bomb or bullet. 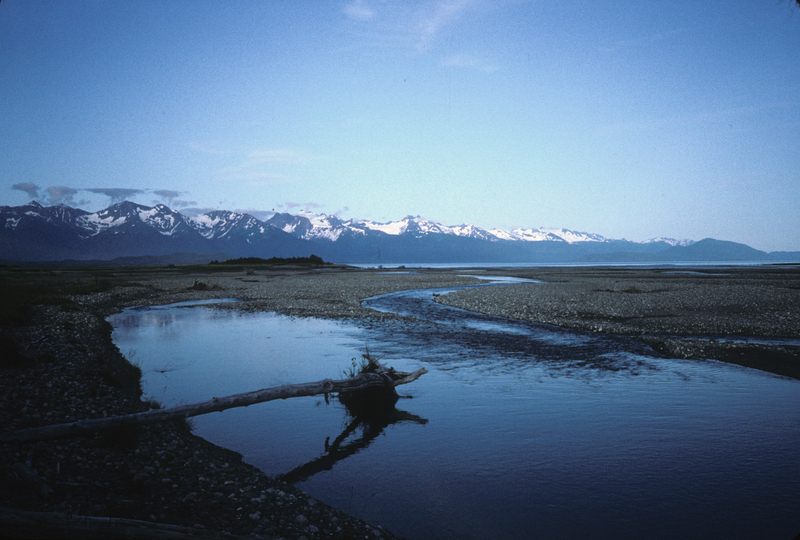 Arguing with the Wind, an account of my two-week sojourn in the wilds of Southeast Alaska, has just been reprinted. It is available at Amazon.com. Thanks to the wonders of modern technology, ordering a copy is now as easy as clicking a button. 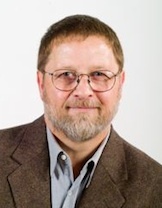 My modest publishing imprint, Wood Thrush Books, has finally entered the 21st Century. I still have a few copies of the original edition, published back in 2003, that has an amateurish line drawing on the cover. But the new edition sports a cover photo of the Kakuhan Range as seen from the coastal meadow near my base camp in the bush. The book has also been revised ever so slightly and reformatted. That said, the narrative remains essentially the same. The big news is that I have recorded myself reading this book in its entirety. My stepson, Matt, will soon be uploading these recordings to iTunes one or two chapters at a time, where they will be available as podcasts free of charge. I flashed back to my sojourn in Alaska during the recording, so you might actually hear my gut reactions to the bush in those podcasts. 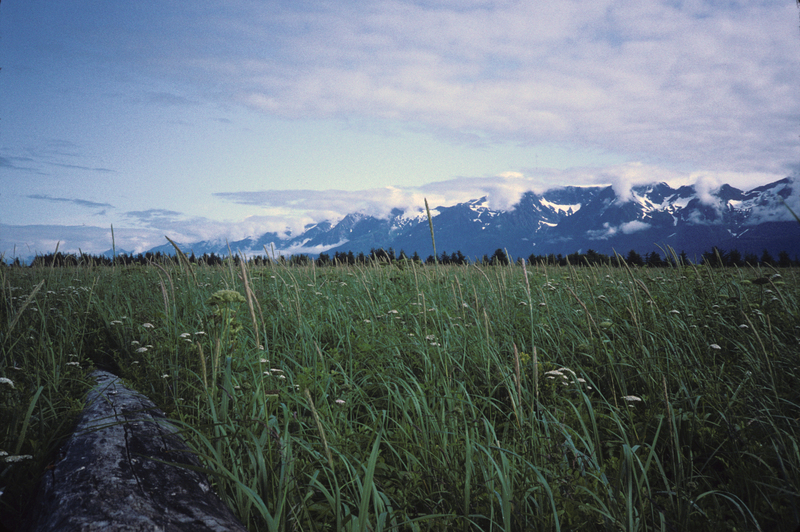 Although that adventure took place almost two decades ago, I remember the harsh beauty of the Alaskan wilds as if it was yesterday. Some things you never forget. I often tell people that a part of me never left the bush, that there’s a wildness within me now that won’t go away no matter how many times I sit in cafes sipping espresso, listening to modern jazz. And when I’m deep in an Adirondack or New England wilderness, I quickly go feral. It can’t be helped. Once you’ve experienced the world at the most visceral level, there’s no going back to the tamer way of seeing things. At any rate, I am excited by the prospect of this story reaching a much wider audience, and am quite pleased with the products that Matt and I have painstakingly put together. There is the precious dream of wilderness that flutters through the mind like a fairy, then there is the real thing. I hope that all of you, readers and listeners alike, get a better sense of the wildness of Alaska as a result of our humble efforts. I read in the paper the other day that Alaskan state officials have cracked down on a guy named Charlie Vandergaw for feeding the bears. Evidently, he’s been doing this for quite some time now. Vandergaw lives by himself in a remote cabin and has befriended large, wild browns to the point where he can pet them. He’s been featured on a cable television network called Animal Planet. No doubt he has plenty of fans. But officials at Alaska Fish and Game can’t abide by it, so he’s been charged with illegally feeding game and could face a $10,000 fine or a year in jail for it. Anyone who has a bird feeder in the back yard or who has tossed a nut to a chipmunk creeping into camp can relate to Vandergaw, I’m sure. We all know we’re not supposed to make wild animals dependent upon us for food, but it’s hard to resist feeding them. They’re so cute. Besides, there’s something about the tentative approach of a cautious creature that urges us to share our abundance. But a bear once fed will look again to humans for a free meal. What happens if an unsuspecting picnicker doesn’t comply? Everything is all very warm and fuzzy on Animal Planet, but sometimes our furry buddies get ugly off camera. That’s what the Alaskan officials are thinking about, anyhow. Cockeyed libertarians look at the situation and see the government oppressing a gentle, old man who’s not hurting anyone. Calloused Alaskans believe the grizzlies will eventually turn on Vandergaw. Still others see this as a strange form of profiteering. After all, someone had to pay for the ton and a half of dog food that our TV grizzly man has provided. All this misses the point, I think. My question is this: When does the wild cease being the wild? We’re all guilty of it. Nature lovers have their preserves. Scientists have their tranquilizing guns and radio collars. Hunters want the wild managed to optimize conditions for their prey. Urban planners have their green spaces. Even materialistic, money-mad developers, who clearly don’t give a damn about wild nature, still like manicured gardens and golf courses. We all want a piece of the wild under our thumb. It’s hard to leave it alone. And why should we? Heaven on earth is often depicted as a place where the lion lies down with the lamb. This biblical notion has infected all of us more than we realize. One could argue that it’s written into the very definition of civilization. “Peace on earth” and “dog eat dog” are mutually exclusive concepts, aren’t they? Why not turn the entire planet into a garden and make all creatures our pets? I don’t want to belabor this point. I’m sure that you can see quite clearly where I’m going with all this. I read about some guy chumming up to Alaskan browns and a part of me, having been exposed to them once, wants to do the same. Then it occurs to me how easy it is to love something to death. Truth is, in order for something to be truly wild it has to remain beyond our control. And that’s a concept we all find difficult to accept. Just about the time the first homeowners put up Christmas lights, I feel it. Oddly enough, the feeling usually comes in the middle of the day, when the muted, overcast light of late November isn’t enough to read by. After a long walk in bone-chilling rain, I’m happy enough to stay indoors the rest of the day, but it seems strange to be doing everything by artificial light. Every year I am given plenty of warning. Daylight Savings Time kicks in around Halloween and I’m eating dinner in the dark for weeks before it gets to me. Then all of a sudden pow! I’m in a funk for no reason whatsoever. I’m not alone in this. Millions of people have Seasonal Affective Disorder and millions more don’t particularly care for these short days and long nights. But like all those who suffer SAD, the dark season is something I experience in deep solitude no matter how many people around me are suffering the same. That’s just the nature of the beast. Yes, I know all about sun lights and the many other strategies one can employ to keep SAD at bay, but the darkness still hounds me. I’m adept now at staying a step ahead of it most of the time, but there are moments during the course of each short day when the sense of desolation is overwhelming. Surely this feeling is as old as humanity itself. Surely the first self-aware hominid felt something like it when he/she suddenly realized that several lean months lay directly ahead, and that not everyone in the clan would make it to spring. Awareness is damning that way. I am a creature of light. I revel in the long days of early summer when it seems the sun will never set. My two-week sojourn in the Alaskan bush was the greatest high of my life, and I’m sure that the 20-hour days had a lot to do with it. Conversely, the only time I seriously considered suicide came on a day much like today. Thank god I didn’t follow through on that urge, otherwise I would have missed out on dozens of glorious springs and as many magnificent summers! Just now the snow-dusted landscape out my window becomes more visible as a lazy sun rises behind a wall of gray clouds. Later on this morning, I will go for a long walk in quiet defiance, as if to affirm that I will live to see the wildflowers bloom again. Like my distant ancestors, I have seen this coming and have braced myself against it. Awareness is redeeming that way. I can’t help but think that my sensitivity to light and darkness is somehow linked to my close association to the wild. Rationally speaking, though, this makes no sense. There are plenty of nature lovers indifferent to these long nights. Still, the Winter Solstice rituals of the Druids and other pagans make me wonder if there isn’t some aversion to darkness deep within us all. Everyone braces against it, one way or another. No doubt the candle makers and manufacturers of Christmas lights will have plenty of buyers for their wares for many years to come. Every once in a while, someone comes at me with the dramatic tale of some starry-eyed pilgrim dying in the Alaskan wilderness. Few things upset me more. In 1992, a bush pilot dropped me on a gravel airstrip near the Endicott River Wilderness, about forty miles northwest of Juneau. I set up camp next to the river and stayed there for two weeks, completely cut off from the rest of humanity, learning the hard way what it takes to keep body and soul together in a truly wild place. It was the best two weeks of my life. It was a truly life-changing experience. But it left me with a profound intolerance for the kind of stupidity that so often passes for backcountry adventure. Jon Krakauer’s Into the Wild is a prime example of that kind of stupidity. In that book, Krakauer writes about a young man named McCandless who wandered into the Alaskan wilderness and died there. Many people are fascinated by the story. Some find the affair tragically romantic; others get a big kick out of survival dramas regardless of the hero’s fate. Others, I suspect, use such tales to justify their own risk-taking or lack thereof. When I read Krakauer’s book, I saw only a woefully unprepared backcountry traveler with no real plan. I spent a year and a half preparing for my venture into the Alaskan wild. I had skills. I had 125 pounds of food, clothing and equipment. I was as careful as anyone can be while I was out there and still came close to becoming food for the ravens. The wilderness is a dangerous place. Right before I went into the wild, I read in the Juneau newspaper about some guy who had disappeared up Eagle Creek two weeks earlier. Only the remains of his camp were found. When I asked several native Alaskans what they thought of this, I got the same response: “People disappear in the bush all the time.” And that’s that. There’s a steady stream of starry-eyed pilgrims coming up from the Lower Forty-Eight. 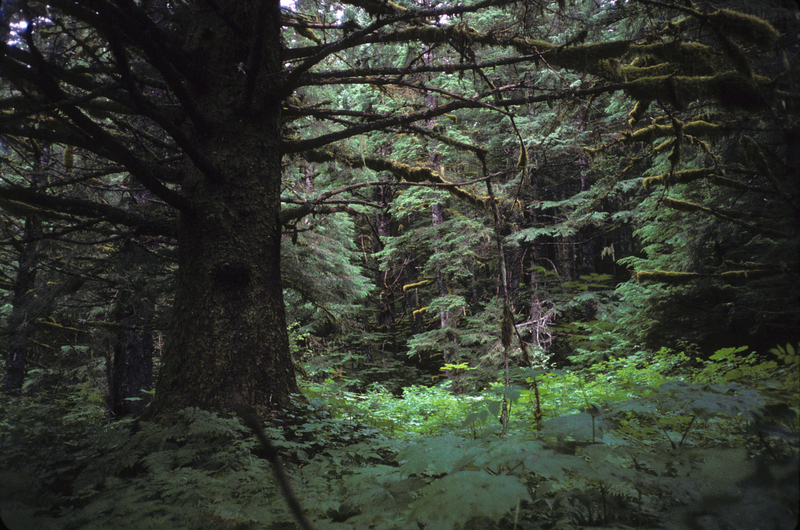 They slip into the Alaskan backcountry and some of them are never heard from again. Lord knows I’ve taken more than my share of risks. I’ve been traveling alone into deep woods for decades. I’ve had many close calls. As a result, I’ve learned to treat the wild with great respect. First and foremost, I carry with me the tools I need to get out there and back in one piece. And I know how to use them. I can’t with good conscience recommend going it alone, but with a track record like mine, I can’t discourage it, either. All I can say is this: Be as prepared as you can possibly be before stepping into backcountry by yourself. Use your head. Don’t disappear. There’s nothing the least bit romantic about a premature and unnecessary death. The bush is littered with the carcasses of fools.